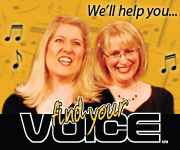 Congratulations to Kathy Rasicot, our newest chorus member! Kathy, who is a Smithfield RI resident, came to us thanks to an article in the Smithfield Observer. Kathy has always liked to sing. She sang in church and choir as a child. She is a wonderful addition to our Bass section and we are very pleased that she she has joined us. Welcome, Kathy!